Opening a franchise business doesn’t always require hefty sums of money. There are franchises out there that can be invested in for a much more affordable price tag. Sounds attractive? Take a look at the following 10 franchises for under $10,000. The Buildings Stars franchise business model provides all you’ll need to build your own successful commercial cleaning company. Building Stars provides a comprehensive training program and ongoing support to help franchisees create a successful and sustainable commercial cleaning business quickly. A Building Stars franchise requires a low-cost minimum cash investment of $2,245. Become an overnight entrepreneur with a MobileStamp deals and loyalty business. MobileStamp provides entrepreneurs with the opportunity to run their own turn-key revolutionary loyalty business under their own brand. MobileStamp sets up the whole business in under 48 hours and provides you with the training and support to help you make a lucrative monthly income. What’s more, the minimum cash required for a MobileStamp franchise is a mere $149. If you are looking for a flexible, family-friendly business that allows you to find a great work/life balance, you may be interested starting a Baby Boot Camp franchise. 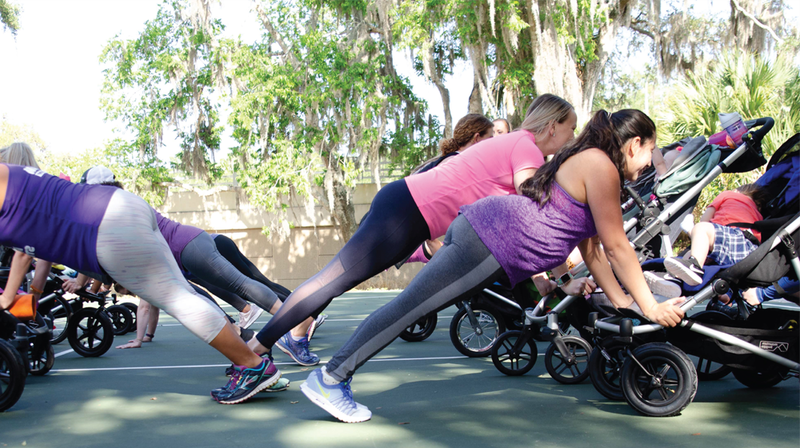 By running your own Baby Boot Camp franchise you’ll offer fitness, nutrition and community support for moms, enhancing their lives through safe and effective programs. Baby Boot Camp offers three tier franchise levels. Tier 1 has an initial franchise fee of up to $5,000, tier 2 $6,000 and tier 3 up to $8,000. Coffee News offers low-cost franchise opportunities to savvy entrepreneurs. Coffee News is the world’s number one weekly restaurant publication. Coffee News franchisees learn the tricks of the trade and are equipped with the tools to publish their own Coffee News edition for their local community. You can start your own Coffee News franchise for under $10,000 and be provided with the training and support to become a successful publisher in your local community. By joining the Eazy-Apps network, you can earn a significant income helping local businesses profit from mobile apps. By becoming an Eazy-Apps franchisee you’ll have access to Eazy-Apps pioneering ‘drag and drop’ platform that enables you to build sophisticated apps for businesses. You don’t need any technical knowledge to run your own Eazy-Apps business and can invest with a minimum cash investment of $9,995. Cruise Planners is the United State’s largest home-based travel advisor franchise network, giving you the opportunity to run your own flexible travel agency business from anywhere. For a minimum cash investment of $10,495, you’ll have access to innovative and award-winning marketing and mobile technology, training, lead-generation tools and professional coaching. BoxDrop Mattress and Furniture Direct provides highly specialized business opportunities selling mattresses by appointment. Entrepreneurs looking to run their own flexible business are provided with an efficient marketing plan that allows them to work to their own schedule selling mattresses by appointment only. You’ll need a minimum investment of $10,000 to start your own Dropbox Mattress and Furniture Direct business. With a Rugby Tots’ franchise, you can provide youngsters with quality coaching and training in rugby. Rugby Tots franchisees provide pre-school rugby classes. The company provides you with the training and support to run a successful Ruby Tots business for a low-cost investment. By setting up a Social Owl franchise, you can make money selling social media services to local businesses. Social Owl provides you with the software and content to manage businesses’ social media with ease and confidence. No experience with social media and content marketing is required to start selling social media packages to local businesses with Social Owl. This lucrative business opportunity can be snapped up for a minimum cash investment of just $149. If you’re interested in starting your own commercial cleaning business, OpenWorks provides franchise opportunities. The OpenWorks program will help you harness your professional motivations by teaming up with a recognized leader. OpenWorks’ customer-focused philosophy helps you build profitable relationships with customers and maximize your business skills level. OpenWorks requires a minimum cash investment of $7,000.